For use with Space Saving Rotabin®. 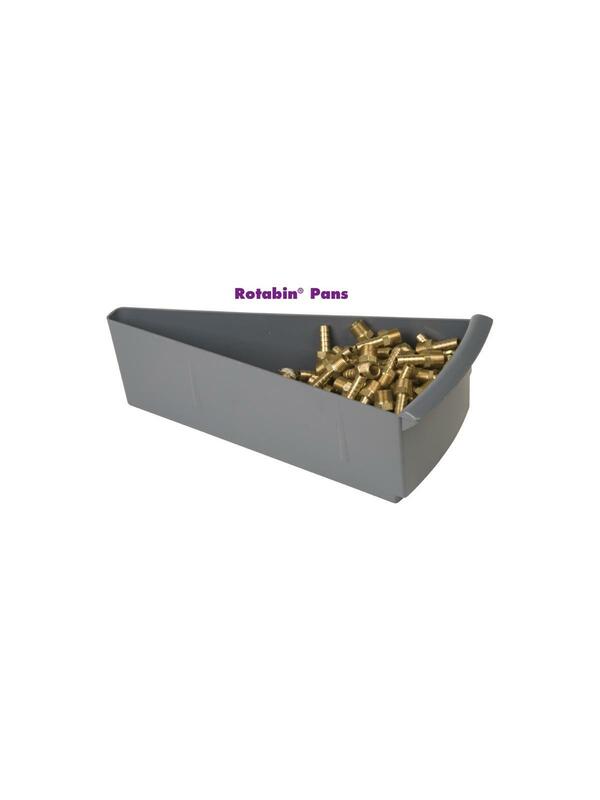 Make it easier to transport parts and store different items in the same compartment. Perfect for color coding inventory. 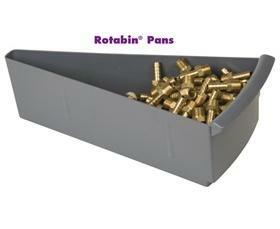 Rugged polypropylene pans lift out, making it simple to restock. Each 34" diameter shelf holds 15 pans. Gray in color. Dividers are easy to install using included hardware. Gray in color.